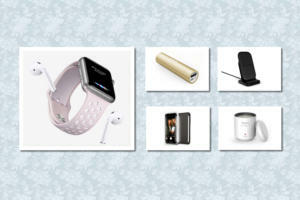 This week’s roundup of new iPad cases includes some understated leather options, and plenty of red and pink cases for Valentine's Day. 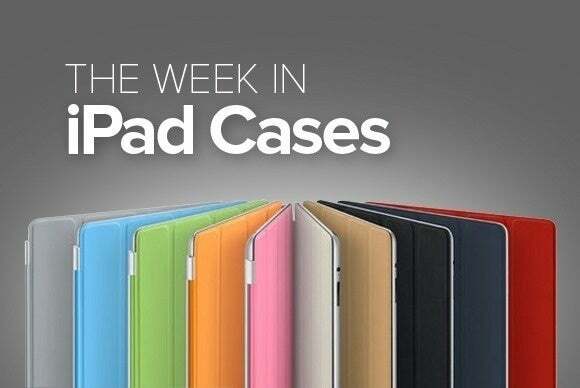 This week’s roundup of new iPad cases includes some understated leather options, and plenty of red and pink cases for Valentine’s Day. The Rotating Folio (iPad Air 2; $50) sports full-bodied protection, wrapping your iPad in a messenger bag-esque case for easy carrying. 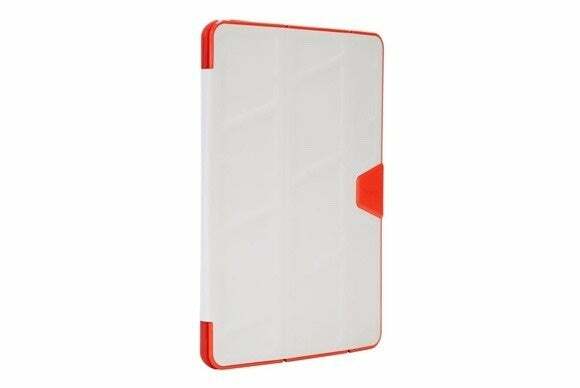 The case features a soft interior lining, a sturdy polycarbonate frame to securely hold your iPad in place, and includes a snap closure that helps prevent accidental spills. 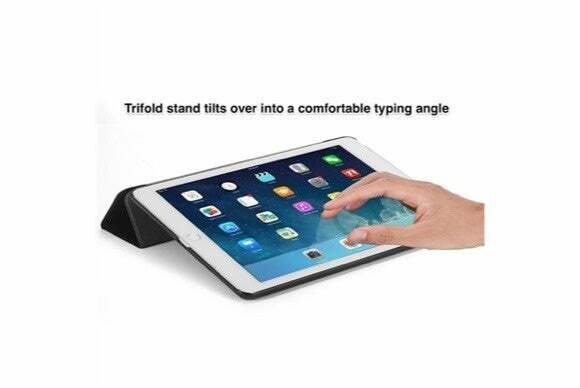 It also turns into a convenient stand that can prop your iPad up in either portrait or landscape orientation with multiple viewing angles. The Slim (iPad Air 2; $40) features a minimalistic design that prevents damage, yet still provides clear access to all of your iPad’s buttons and ports. 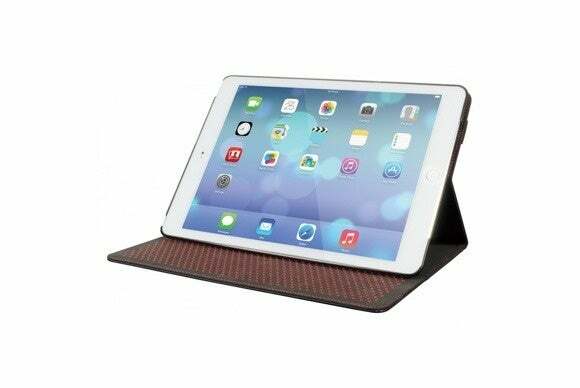 The case can prop your iPad up in landscape orientation in a variety of angles, thanks to a series of grippy dots that hold it in place, and sports a microfiber lining for additional screen protection when your iPad is not in use. The Faraday (iPad Air 2; $40) combines a polycarbonate hard shell case with a smooth vegan-leather cover for all-around protection. 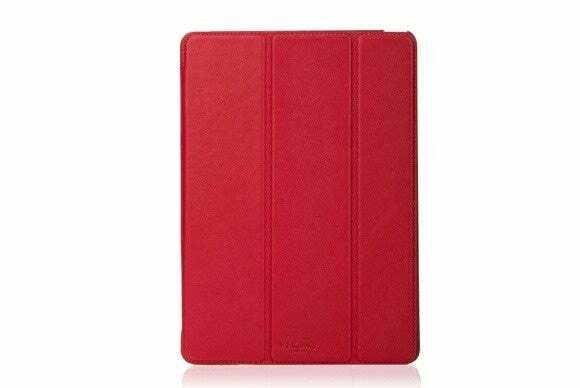 The cover includes a magnetic closure and a microfiber inner lining, which helps prevent damage to the iPad’s corners and protect its screen. If you watch a lot of video, the Faraday turns into a convenient stand in landscape orientation with support for multiple viewing angles. The Hamburg (iPad Air 2; $50) combines genuine leather with soft flannel to make an elegant and effective protective case. Available in black or cognac, the case supports five standing positions in landscape orientation that let you quickly set it up for watching a show or getting your FaceTime on, and is also compatible with the iPad Air’s magnetic sleep/wake feature. The Leather Folio (iPad Air 2; $80) features a classic layout that comes in three bold hues: scarlet, black, and air force blue. Made of full-grain leather, the case grants easy access to all of the iPad’s ports, cameras, and buttons, turns into a convenient stand in landscape orientation for either typing or viewing, and is compatible with your iPad Air 2’s magnetic sleep/wake feature. The Slimline (iPad Air 2; $20) sports a simple look, and is available in a variety of colors or patterns for a truly customizable case. The snap-on case turns into a stand in landscape orientation for typing and viewing, and includes precise cutouts for all buttons and ports. 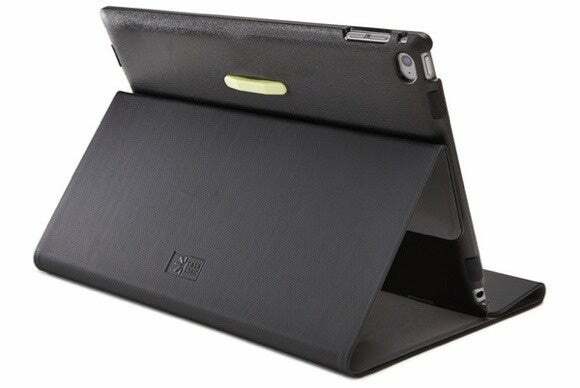 For added convenience, the Slimline’s cover is compatible with the iPad’s magnetic sleep/wake feature. The Burnished Portfolio (iPad Air 2; $120) is an elegant, handcrafted leather portfolio-style case that not only protects your iPad, but also adds a traditional touch for working professionals. 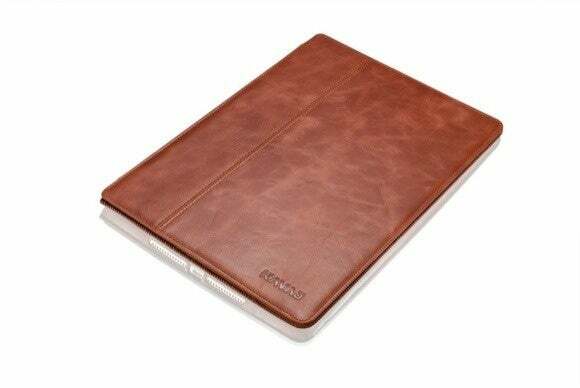 Made of vegan tanned leather, the case includes room for a notepad, pockets for your credit cards and photos IDs, a stylus holder, and a dedicated compartment for your iPad Air 2. 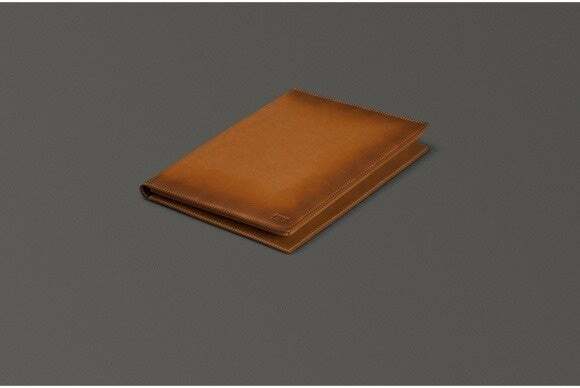 Thanks to the burnishing process, the Portfolio features a particular two-tone finish, available in tan, brown, or black. Just in time for upcoming celebration, Speck has released its Valentines Day StyleFolio (iPad mini 2; $35) in a variety of themed prints, like dark poppy red, fuchsia pink, valley vista, American throw purple, flamingo pink, and planta pink. 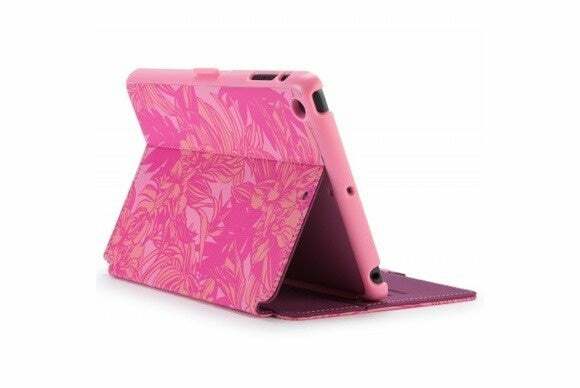 Manufactured with an easy-to-clean vegan leather, the case protects your iPad from drops, smudges, and bumps, features a secure clasp to firmly hold the cover in place when not in use, and turns into a stand in landscape orientation with multiple viewing angles. 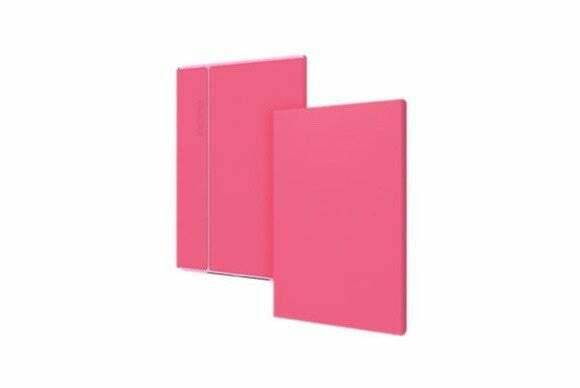 The 3D Protection (iPad Air 2; $40) sports a shock-absorbing tray with a ruggedized outer edge, all packaged in a stylish, artistic design. The case meets military drop test standards from up to four feet, quickly turns into a viewing and typing stand, and features a water-repellent coating for easier cleaning.